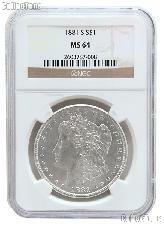 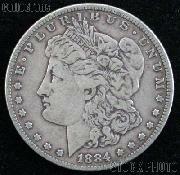 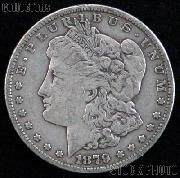 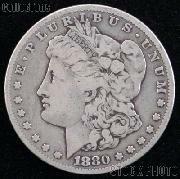 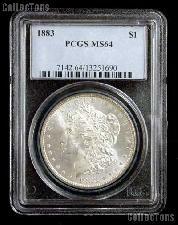 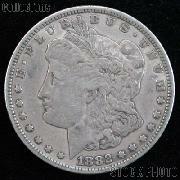 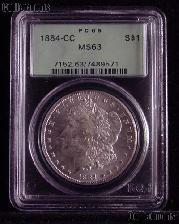 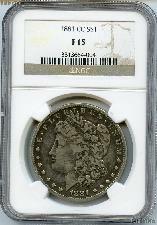 The coinage law of 1873 made no provision for the standard silver dollar. 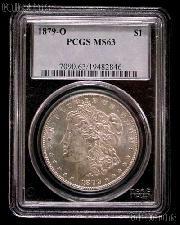 During the lapse in coinage of this denomination, the gold dollar became the unit coin, and the trade dollar was used for commercial transactions with the Orient. 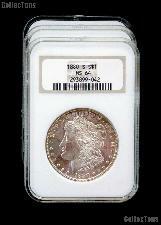 Resumption of coinage of silver dollars was authorized by the Bland-Allison Act of February 28,1878. 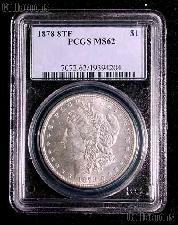 The weight (412-1/2 grains) and fineness (.900) were to conform with the Act of January 18, 1837. 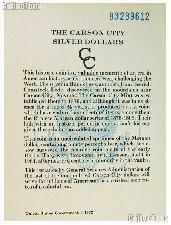 George T. Morgan designed the new dollar. 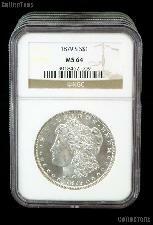 Morgan was a former pupil of William Wyon's from the Royal Mint in London. 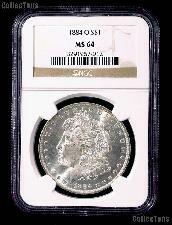 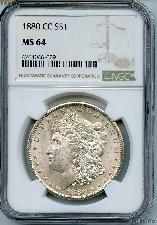 Morgan's monogram appears on the obverse at the truncation of Lady Liberty's neck at the last tress. 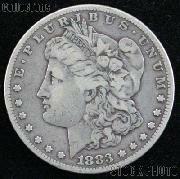 It also appears on the reverse on the left hand loop of the ribbon. 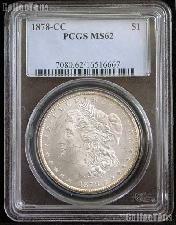 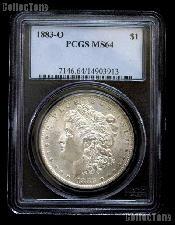 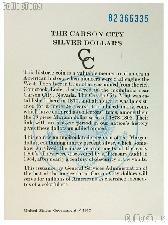 Coinage of the silver dollar was suspended after 1904 because of low demand and lack of bullion supply. 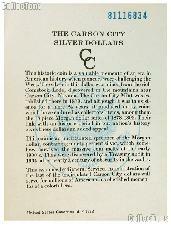 Under provisions of the Pitman Act of 1918, 270 million silver dollars were melted. 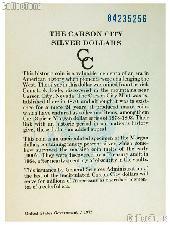 Coinage of the silver dollar was resumed in 1921. 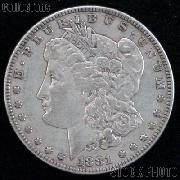 The Morgan design, with some refinements, was used until the new Peace design was adopted later in the year.